Celica 1600 GT-R TLVN, What this hobby means to me. VonBootWilly - Likes Toyota, but it's still complicated. This is really what makes this hobby great. 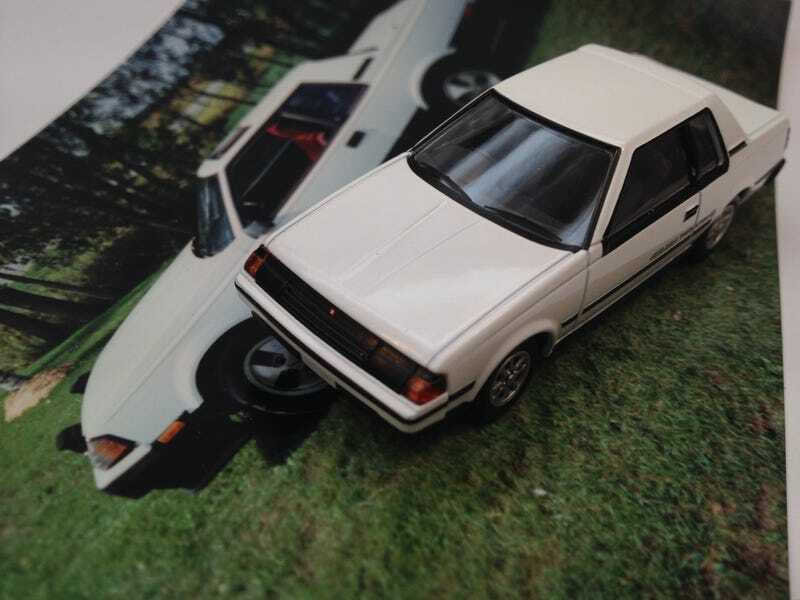 The instant I had seen the Tomica Limited Vintage Neo Celica 1600 GT-R, it was love at first sight. Let me introduce you to my first Toyota. A 1985 Celica GT coupe I owned from 1996 to 2002. At the time it was just a reliable little car to drive for me, and introduced me to the world of Toyotas. I restored it with a paintjob in 1998, it was my car through school. Now this was a no-brainer. Even with the poor Canadian dollar, this was a must have. It’s more than I expected. I know it’s not the same model I owned, but I’m just thrilled that a coupe, without flares, in white, was offered by Tomica. I’m so happy with it. Tomica. Thank you. I’m now a huge fan of this series. Now, let’s look at it next to the old Hot Wheels Supra based on the same A6x Toyota platform..
Yeah. There’s a huge generational gap and cost difference between these 1:64 Toyotas, but I also still think it was just great that Hot Wheels even did a Supra back in the day. Thanks for looking. I hope you guys also have such a great time when you hunt down a nostalgic find like this. Recent from VonBootWilly - Likes Toyota, but it's still complicated. My 5th, err 6th red Toyota. Diesel Colorado powered by 2001 Voyager?